The fresh produce of summer makes it easier (aside from the lure of ice cream) to maintain a healthy diet. Plus, during the warmer months, our bodies naturally want lighter foods. When the weather turns cool, your body’s natural instinct is to store fat. And delicious stuff, like apple cider, pumpkin spice lattes, pies and cinnamon doughnuts, is everywhere. With some common sense and our quick guide, you can indulge in favorite fall treats without your wellness goals going into hibernation. Continue eating local – plenty of healthy, plant-based options are still available after watermelon season ends. Snack on apples and look for recipes that use root vegetables like sweet potatoes, parsnips, carrots and squash. Embrace citrus season – don’t forget about produce that isn’t local! Citrus fruits, plus bananas, pineapples and avocados contain Vitamin C, a must during cold season. 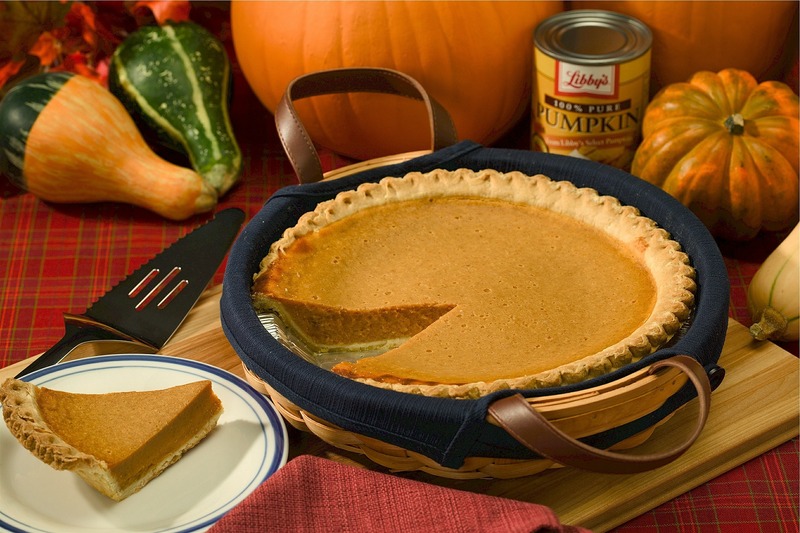 Enjoy the flavors of the season – the spice in pumpkin spice? It’s good for you! (The whipped cream, not so much.) Incorporate fall spices like cinnamon, ginger, cardamom and turmeric into healthier recipes. Studies show that certain spices may boost metabolism and help you feel more satisfied after a meal. Stick to whole grains – as bread, rice casseroles and hearty pasta dishes become the stars of the table, stay away from refined white flour and white rice. Brown rice, whole wheat flour, wild rice, bulgur wheat and barley are some tasty, filling alternatives. Remember lean proteins – fattier meats like beef and sausage are popular during the colder months. Try to only eat them once in a while, and enjoy a roast chicken or some turkey breast instead. Eat more soup – use chicken or veggie stock to make healthy, warming soups. Look for new recipes or experiment with your pantry. Try winter greens – maybe summer lettuces have left the farmer’s market for now, but did you know that certain greens grow during the winter? Health food staple kale is one, plus Swiss chard, collards, mustard greens and beet greens. Cooking them will help temper any bitter taste. Plan ahead – this holds true in any season, but especially during the busy back-to-school and holiday seasons. Nutritious freezer meals and a crock pot or Instant Pot are your best fall and winter pals. Incorporate nuts and nut butters – nuts contain healthy fat, and they’re a cold-season favorite. Snack on pecans, almonds or walnuts. Just be sure to measure out your servings. Have a piece of pie! Fall treats are meant to be enjoyed, so have at them in moderation. Try a smaller piece of pumpkin pie, a tall skim pumpkin spice latte or splitting that cider doughnut with a friend. View the Fall Activities Guide to learn about our cooking classes for kids and adults! *This article is intended for general advice only. If you have specific wellness or nutrition concerns, please contact a health professional. Kassandra Brabaw, ’13 Herbs and Spices Scientifically Proven to Help You Lose Weight,’ Prevention, January 6, 2016. Accessed August 21, 2018. Casey Seidenberg, ’10 ways to prepare for a fall full of healthy eating,’ The Washington Post, October 4, 2017. Accessed August 21, 2018. ‘5 important things you need to know about winter greens,’ The Kitchn, 2016. Accessed August 21, 2018.